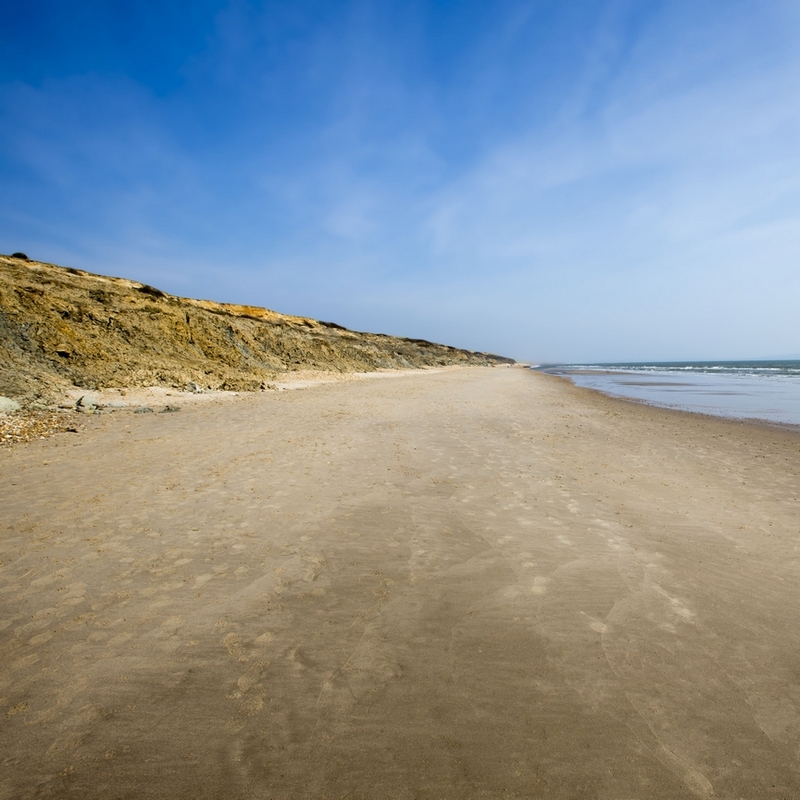 Beaches are, of course found along the coast between the high water mark (the highest part of the beach that the rising and falling tides can reach) and the low water mark (the furthest point from the land that the tides retreat to). They are formed by deposition and the action of constructive waves. Constructive waves carry more sediment onto the shore than they remove, so a beach forms thanks to continual deposition. Most beaches are formed from sand or shingle, and sand / shingle beaches have different characteristics. Shingle beaches are steep and narrow. This is because, once the breaking waves have deposited the large shingle stones on the shore, the backwash doesn’t have the energy to move them back down the beach. Instead they accumulate in a narrow band with a steep profile. Shingle beaches,such as the one in the photograph, can be many meters high. This one was about 5m in height and not much more than that from front to back. Sand beaches are wider and less steep. This is because sand particles are very small and even a weak backwash can move them some distance back toward the sea. 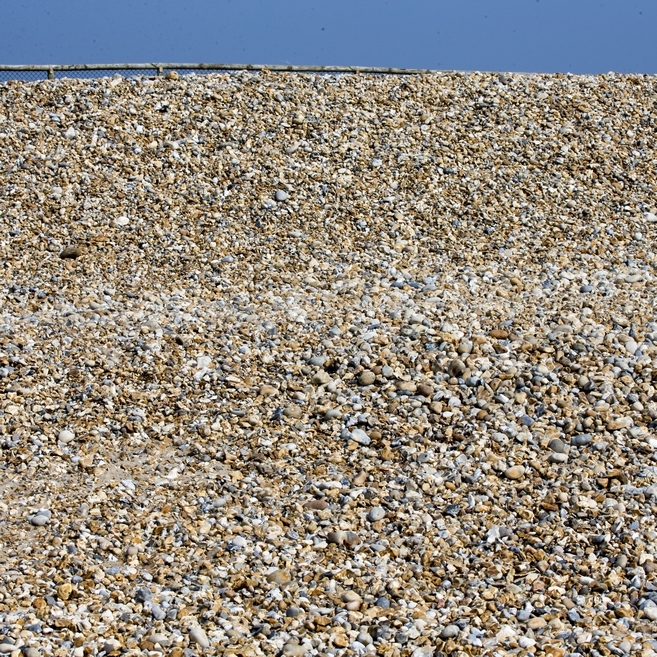 Consequently sand particles end up spread out over a much wider area than shingle. This increases the width of the beach and decreases the gradient. The beach becomes wider and more gently sloping. The width and gentle gradient makes sand beaches both popular and dangerous for tourists. The gentle slope means a large expanse of sand at low tide, but also means that the incoming tide advances rapidly up the beach with the potential to trap unwary beach users.